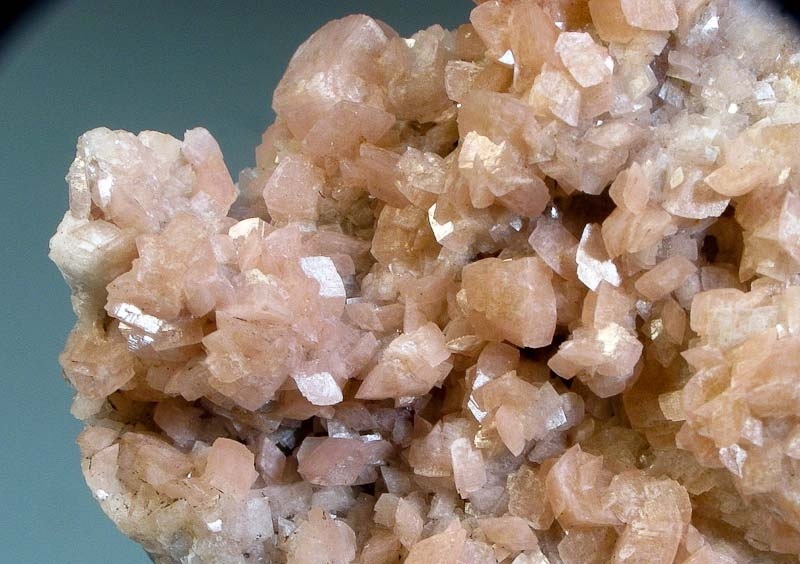 The main constituent of Western Ohio sediments, Dolomite is one of the most common minerals found in the State. The dolomitic limestones, in Ohio, which are actively quarried for aggregate and lime needs are comprised of microscopic Dolomite crystals. Surprisingly, apart from the Duff and sons quarry in Huntsville and the Custar Stone Quarry near Weston, which produced decent white curved rhombohedral crystals, and large limestone septaria at various localities in the Ohio Shale, which produce a variety of Dolomite crystal habits, very few localities across Ohio are known for producing good crystal specimens of the species. Geodized Brachiopods, from the shale-like limestone road cuts in the vicinity Georgetown, also produce fine curved rhombohedral crystals of Dolomite. Unlike the smooth curved rhombohedral crystals which are occasionally encountered in the above mentioned dolomitic limestone quarries, most Dolomite crystals, from Georgetown, have clearly visible step growth and resemble curved stacked building blocks. Rarely, smooth curved Dolomite crystals have been observed in these road cuts as well. Although the typical crystal is approximately one centimeter in size, these curved rhombohedral crystals often will completely fill the geodized center of a brachiopod. Dolomite crystals, at this locality, vary in color from cream-white to dark brown depending on the level of weathering which has taken place inside the brachiopod. Fresh and unweathered specimens of Dolomite are generally somewhat translucent, cream colored and vitreous.